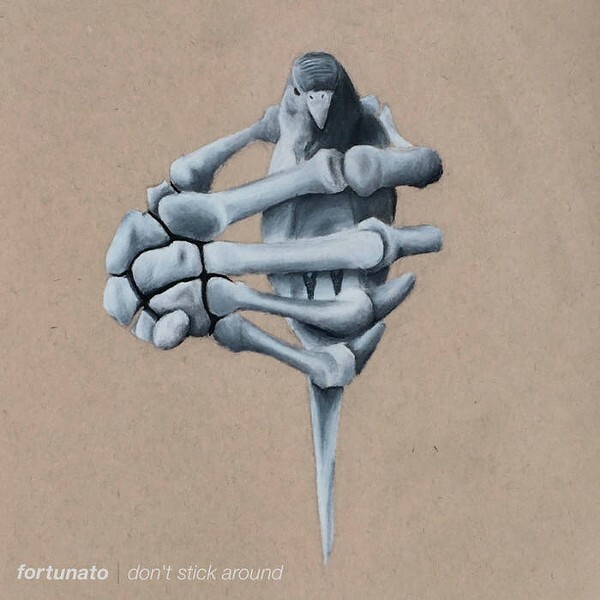 Although only 22 minutes in duration, Fortunato's new EP "Don't Stick Around" is a complete artistic statement, packed with emotional moments and sideswiping climaxes. The four-song set is like a dark body of water electrified by a ray of indigo light shining down. Although no longer in the band, vocalist Alexandra Wendt adds beautiful, heart-wrenching melodies to the music here. The EP is highly relatable, with songs about love and longing, being young, and growing up fast. Musically, drummer Jacob LoMaglio splashes into breakdowns that surge out to guitarists Curtis Matteson and Jay Hewitt, and the sound is sent rippling toward Tommy LoMaglio's bass lines. While the current feels calmly meditative in the song "Jacob's Lullaby," don't stop to relax for too long, or you'll be rocked off your boat by sudden dynamic changes in "I Can Hold My Breath Forever." Fortunato floods your ears with another masterpiece of ambient droplets in an ocean of sound waves.